A woodcut of the vivid orange chanterelles found in the mountains near my home. I made this print in honor of a very special wine dinner my wife was hosting. 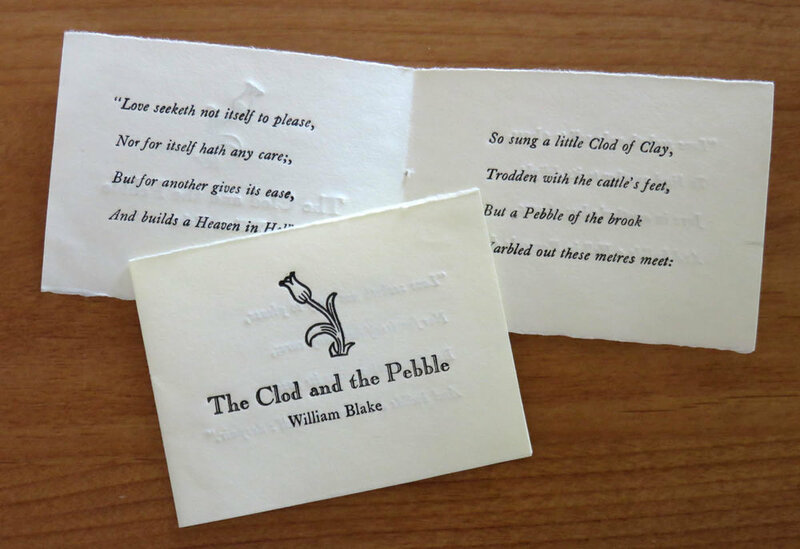 A four-page booklet containing a sweet poem by William Blake. 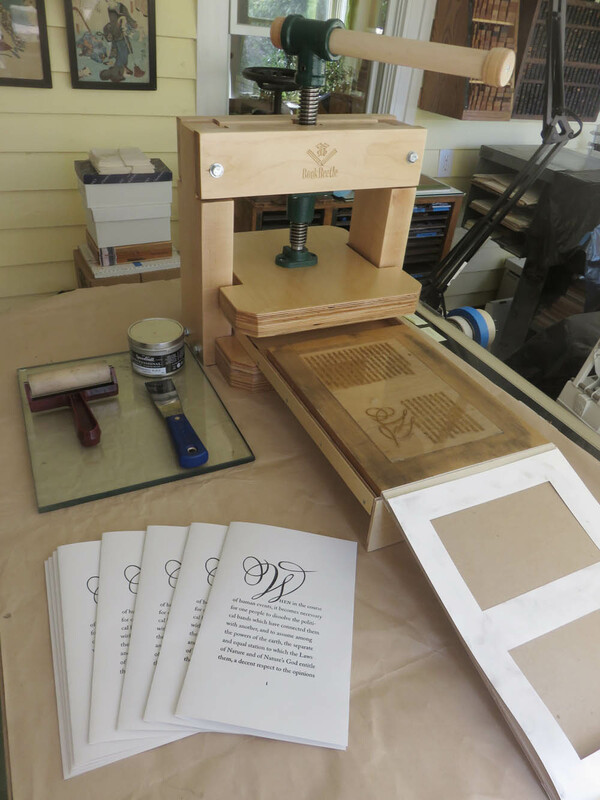 Printed two-up, “work and turn” from movable type on the BookBeetle. A four-page, 5-1/2 x 8-1/2 inch booklet printed from photopolymer plates made on the computer. I printed this on cheap construction paper to use at a demonstration for homeschool students on the printing of the Declaration of Independence.